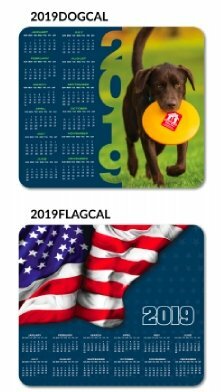 Park Press now offers re-positionable Mousepad Calendars. In stock and ready to order! Two styles to choose from. Perfect for desks, laptops and more! This product is a stock product. There is no template for it. Use the form below to choose which 2019 Mouse Pad you would like.